There are some things in golf that don’t change – one thing that varies with each golfer is the way that you play and enjoy the game. The heart of Brick Landing Plantation is the 18 hole golf course, Brick Landing, or as the locals refer to it “The Brick.” Brick Landing Plantation golf course in located just up the road from Myrtle Beach across the border in Ocean Isle, NC. 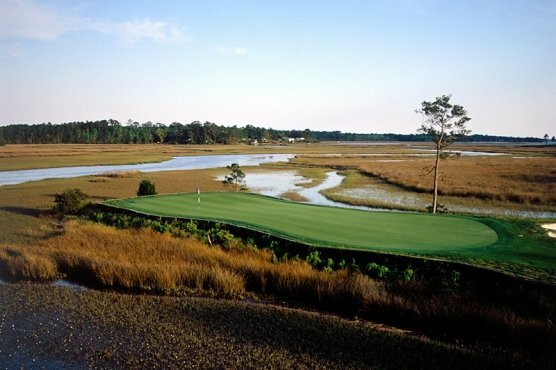 This golf course offers 18 holes of challenging golf for players of all ages and skill levels in a serene and scenic setting that starts and ends with the Intracostal Waterway and winds through the salt marshes for the interior holes. Brick Landing Plantation Golf Course is a par 71 course that from the tips plays just over 6500 yards. Opening in 1987, Brick landing was originally designed by HM Brazeal and re-designed by Dan Maples. In 2010 the golf course closed, but opened back up two years later in 2012. Since re-opening, golfers have enjoyed a challenging 18 holes that will test the skills of even the low handicappers. 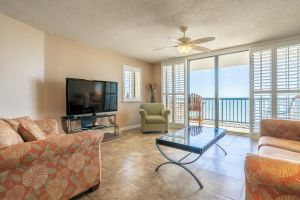 The course was designed to maximize the land’s natural beauty as you take in the views of the Intracostal Waterway and saltwater marshes on many of the 18 holes. Most golfers remember the fairways the most of this Ocean Isle course. Imagine the wide fairways leading to the Dwarf Bermuda greens that are well maintained and roll true all while having the finest backdrop of the waterway and Atlantic Ocean. Take in the salty breezes as you warm up for your round at Brick Landing Plantation golf course. There is a driving range, chipping and putting green to make sure you are ready for your 18 holes at this Myrtle Beach golf course. Once finished with your round, you will want to come back and play this course time and time again. Add Brick Landing Plantation Golf Club to your Myrtle Beach golf package and you and your golfing buddies will play a memorable course with stories to last a lifetime.